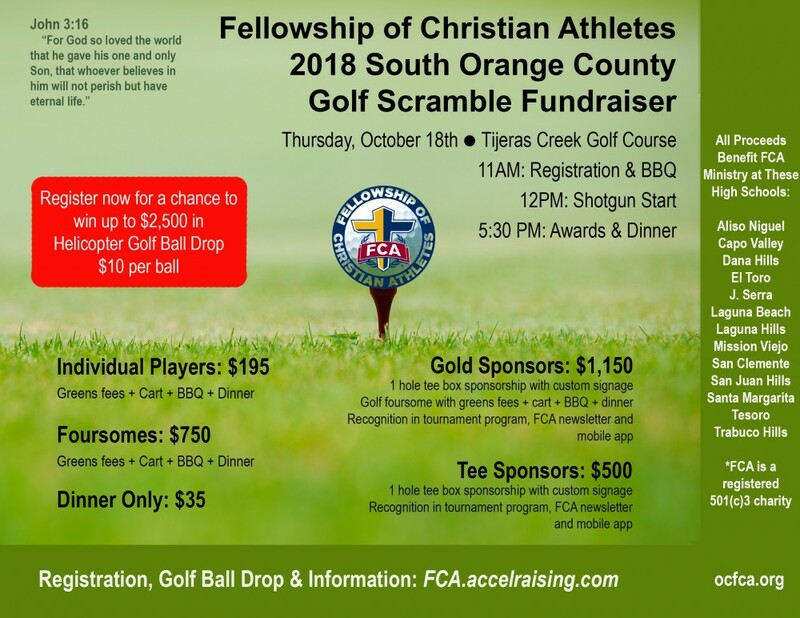 FCA (Fellowship of Christian Athletes), will host its annual Golf Tournament and Helicopter Ball Drop on Thursday October 18th at Tijeras Creek Golf Course. Thank you for signing up to help South Orange County FCA raise funds to transform lives of student athletes and coaches in our area. All sponsorships are tax deductible donations but golf ball purchases are not. Entry includes golf, cart, BBQ lunch, dinner, swag, and more.